Like a first time rookie, you probably think that using a golf rangefinder is as easy as reciting your ABCs, but that’s not always the case. Reading the entire instruction manual could get you to a certain level of proficiency, but practicing on the course with some hands-on time sounds a lot more enjoyable. 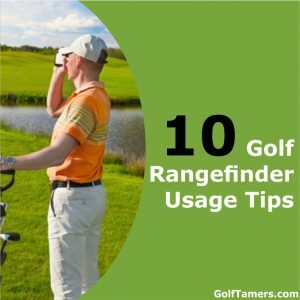 Although golf rangefinders, both GPS and laser, are made to be as user-friendly as possible, you’ll still benefit from expert tips as well as, perhaps, some unconventional advice. You never know, it might just be the trick-up-your-sleeves that you’ll need to get that perfect distance. The Bushnell Tour V4 is a golf-specific laser rangefinder that utilizes PinSeeker Technology. This is a given, and you’ll see and hear this advice all over the place as you search for that new golf buddy of yours. 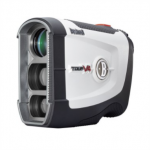 Golf and hunting rangefinders are essentially the same thing – distance measuring devices. But, they work differently to acquire the distance of your desired target. Golf GPS rangefinders use pre-loaded GPS points to give you the distance, whereas, laser golf rangefinders use pin seeking technology in first target priority mode as the standard platform for their design. It’s hardwired to seek out the closest targets, which are typically the flagsticks. Hunting laser rangefinders use a distant target priority mode, and so it’s not ideal for golf. You’ll want to look for golf specific rangefinder manufacturers, such as the few mentioned here – Bushnell Golf, GolfBuddy, Leupold, Garmin, and Laser Link. 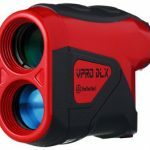 But, if you already have a hunting rangefinder or you want to purchase one unit that’s ideal for both hunting and golf, there is a way around this. Look for a rangefinder that has both first target mode and second or distant target mode. You should note that these rangefinders with both capabilities can run up some pretty pricey digits, but if you wanted the convenience of a versatile unit, you’re probably willing to pay for it. Otherwise, stick to specific golf-made rangefinders to get the most accurate and reliable information. 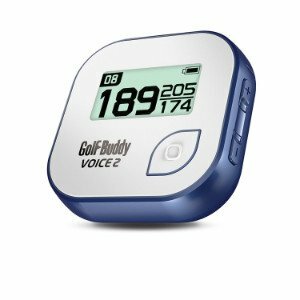 The GolfBuddy Voice 2 is GPS device preloaded with over 40,000 courses worldwide. GPS Rangefinders – Successfully using a GPS rangefinder requires that you first have the course preloaded and updated for the most recent map, hazard, and pin locations. This means there’s prep time before you ever get to play. There’s usually a concern that the golf database you’re using might not have the course you’ll be playing at. Buying a brand that has one of the highest access to courses available should resolve that concern. You’ll also have to remember that some clubs don’t participate in providing their course mapping, so you should double check with your local club or other GPS rangefinder users first. These devices also need charging time which could set you back if it dies mid game. The TecTecTec VPRO can zone in on flags without reflective prisms (up-to 540 yards). Laser Rangefinders – These types emit laser beams where accuracy depends on the reflectivity of the target, and in this case, the flagstick. The concept here is: the more of a reflective surface it has, the better the target acquisition and the more accurate a reading you’ll get. 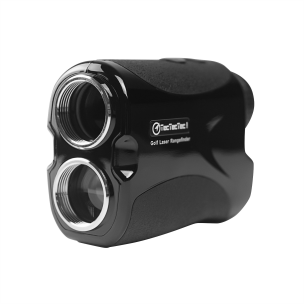 Some laser rangefinders, such as the Laser Link Quickshot 2.0, can only work if the course uses prism-mounted reflectors to enhance laser efficiency. If this is the case, you might only be able to use your rangefinder at limited courses. However, more and more clubs are installing reflectors of some sort since laser rangefinders use is becoming the norm. 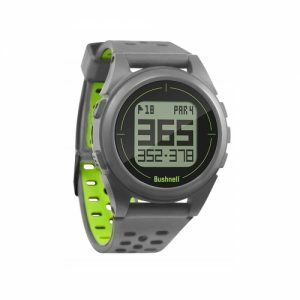 The Bushnell NEO ION2 is a GPS device that is worn as a watch. It’s not going to be a very convenient device if it’s a pain to get to every time you need it. Thanks to robust construction and modern design, rangefinders are more sleeker, slimmer, and ergonomic than ever before. Even the laser rangefinders can fit in your pocket. But, whether it’s a GPS unit or a laser, you’ll want to make sure you can get to it without too much fuss. Lasers can be kept on a neck lanyard, in a case attached to your belt, or even just in the front pocket of your shirt. Remember, you’ll want to keep it out of the way so that it doesn’t affect positioning and swing. GPS units and golf GPS watches are even more unobtrusive. They can be put in a case to be attached to your belt, clipped onto the brim of your hat or sleeve, and obviously, even worn on your wrist. Get on the course and practice wearing it where you like it best and get a feel for how practical it is to use. You’ve all heard it before, “practice makes perfect”. Okay, so maybe you’re okay with not being perfect, but you’ll still want to get some practice in so you can, at the very least, be efficient at using your rangefinder. There’s nothing worse than hitting the course and trying to figure out what this and that is before you even get to take a swing. Practice at home – Go ahead, pull it out, take it outside, and start hitting some targets within 50 to 100 yards. If it’s your first time, aim for large surfaces to get a feel of how to activate, aim, and shoot. Once you’ve got this finger action mastered, hone in those aiming skills for smaller objects. You could even hit the course right about now to practice aiming for the flags and not just the pins. Have a friend try it out too. This helps to ensure that you’re using it right and getting the right distances. It also raises the possibility that you could have a defective unit if yours is acting up. Don’t expect your first try to be picture perfect. Although the “aim and shoot” method is simple, it takes some patience and practice to get your hand steady and the reticle just where you want it to get consistent yardage readings every time. For your first round with a rangefinder, measure the distance the way you always have done. Before or after your shot, measure and confirm the distance with your rangefinder. If you know you’re about 10 yards from the 150 yard marker, but your rangefinder is ranging 90 yards, go ahead and refire again until it gives you a consistent and solid reading. If it’s not user-error, you might have a defective unit. Have a buddy try it out too. 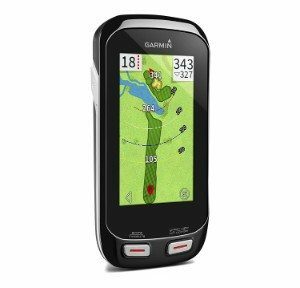 The Garmin Approach G8 is a GPS device that allows you to manually set pin placement. Is your pin seeking mode failing you? Are you not feeling the vibration when it’s locked onto the flag? The main thing a golfer desires from a rangefinder is confidence that they have the right distance. And, this confidence can easily be dispelled when your rangefinder just won’t lock onto that pin. Well, if this happens to you, there’s no need to throw that rangefinder out just yet. This is where you can utilize different features or modes to still get the distance you need. If you have a GPS golf rangefinder, try using the manual or customizable pin placement technology for the distance to the hole. If you’re using the good ‘ole laser rangefinder, there’s a couple more options that you have to try out. First and foremost is the fastest way. Activate your scan mode and pan the green. This is almost fool-proof. If you don’t get your distance by just panning the course, aim towards the back of the green, especially if there’s trees or bunkers present. Then move the reticle, still in scan mode, to the flagstick and you should be able to get that elusive distance. Okay, so it doesn’t have to be YouTube, but you get the idea. There are tons of tutorials and “how-tos” online that can help you figure out the best ways to maximize rangefinder use. Keep an eye out for videos posted by the manufacturer as they can be very informative. You could also get some unconventional but helpful advice from both professionals and amateurs alike. Watching these videos are like the visual version of reading your instruction manual, plus, they’ll probably keep your attention much longer. I know, this small sub-section seems to be totally out of line with the rest of this article, but it does have its place. Although the manual can be extremely boring, long, and written in Japanese, maybe not really but it looks that way to you, it does have value. Nowadays, there’s usually a Quick Start Guide of some sort that’s included with the package that has some helpful start up tips to get you going. You can also refer to it for trouble-shooting tips and to reset programming if you really mess it up. Many complaints that you’ll see in rangefinder reviews are often due to user-error and/or the unlucky chance of a defective unit. Rangefinders can get a bad rep because golfers didn’t know how to use them properly or how to maximize the rangefinder’s potential. Doing a little due diligence on knowing how to get the most out of your golf rangefinder can turn you from a skeptic to a believer and a well-informed rangefinder user. Don’t believe every negative thing you read about a good, quality rangefinder. 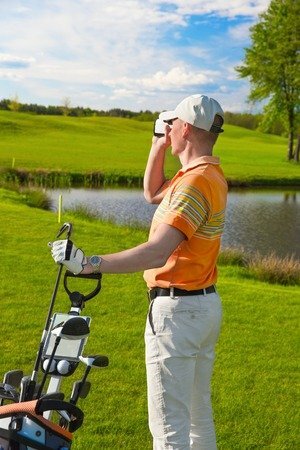 Even though golf rangefinders help make the sport even more fun and enjoyable, don’t get too caught up or too dependent on them. After all, there was a time when these things were too futuristic and expensive to consider them seriously in the game. There are also limitations on what kind of rangefinder you can use in tournament games, and you’ll have to check with local regulations to first see if you can even use them on your favorite course. The chances are, that you’ll be fine to use them, but if you happen to forget your rangefinder at home one day, don’t turn around, just play on. Hopefully the rangefinder has helped hone your distance estimating skills so that you can still enjoy a game without one. With a little bit of practice and a little bit of know-how, you’ll be able to make the most out of your next round. Well, what are you waiting for? Go try these tips out!